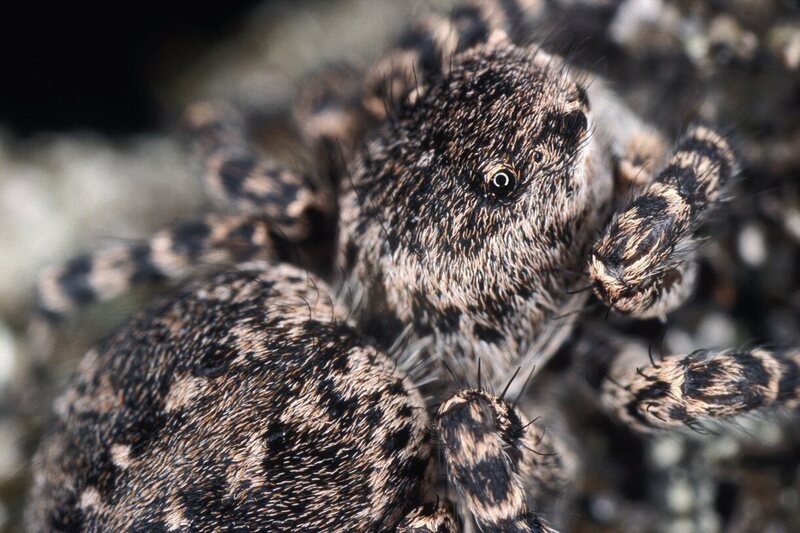 Description: Medium-sized spider with the front of the head high and relatively narrow, despite fairly broad carapace. 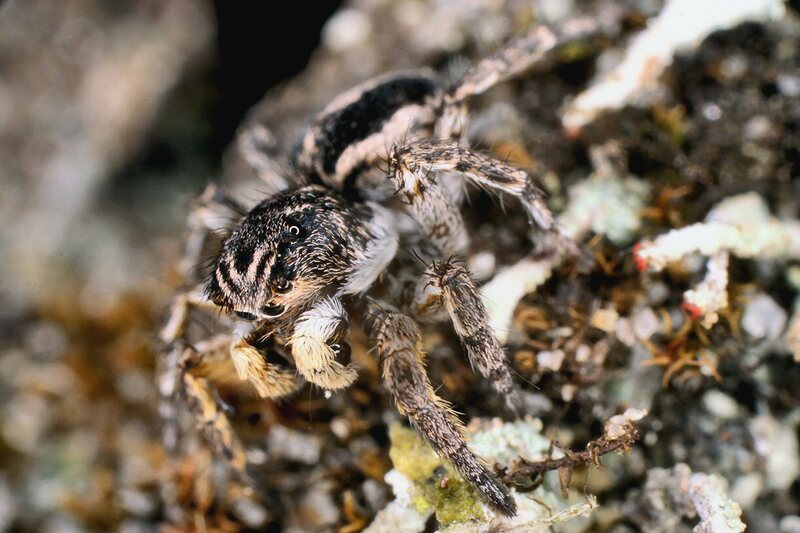 Female with black carapace, sparsely clothed with long black hairs and densely covered with white squamose hairs. Characteristic white patches are present below the lateral eyes of the anterior row. Abdomen dark with long black hairs and dense light squamose hairs. Two rows of somewhat indistinct light dots are present along the midline. Legs dark, clearly ringed with white hairs. 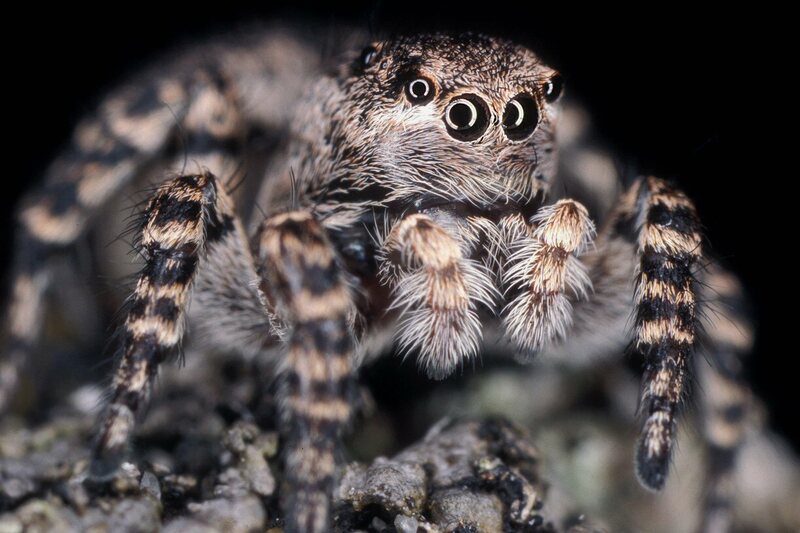 Male with v-shaped row of light hairs in the head area, a feature responsible for the latin species name. Abdomen black dorsally with light-brown median line. 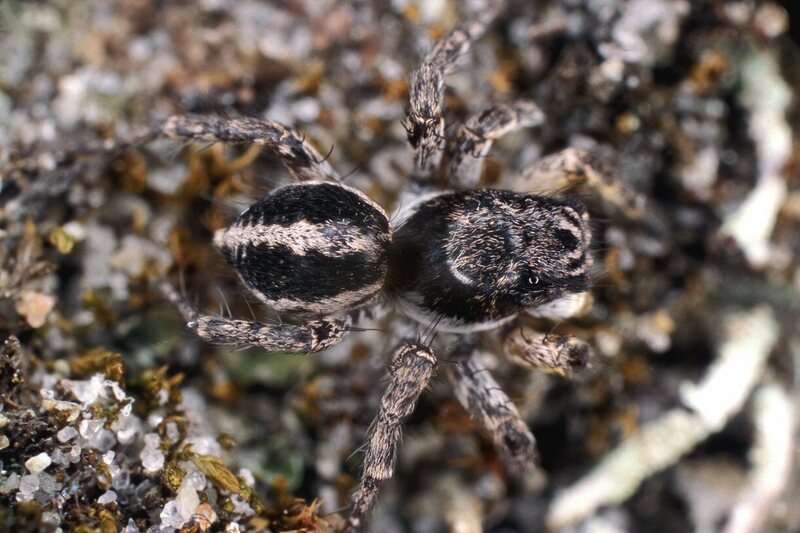 Legs similar to female, but legs I and palps with golden hairs. Size: Female 6-7 mm; male 4-5 mm. Genus: Aelurillus Simon, 1884. 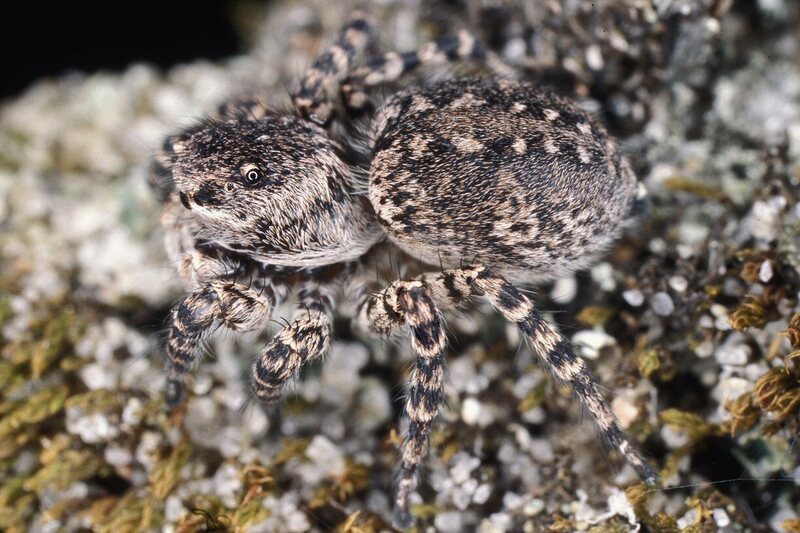 Characters of genus: The genus Aelurillus is separated from the remaining salticid genera by the following combination of characters: ocular trapezium appreciably broader than long, tarsi of legs I and II with dense scopolae, and legs IV longer than legs III. The latter character separates the genus from Phlegra which has legs IV shorter than legs III.